A love or hate scent and possibly one of the best masculine fragrances ever produced. 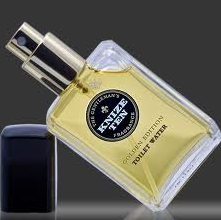 Knize Ten It's a typical example of the concept "expensive doesn't always mean good" as it is very reasonably priced and at the same time better than almost any other expensier male leather fragrance available on the market. An archetypal leather fragrance and one of the very few pre-WWII leather compositions who carefully avoided disastrous reformulations. Made by Franoise Coty and Vincent Roubert, Knize Ten is a pillar of the early 900 perfumery and something we all should preserve from oblivion. The opening is litterally shocking (to me in a good way, but can be challenging to someone) with a severe and breathtaking explosion of (gasoline) leather. If you like it, fine, if you don't, just try to survive for a while as in the drydown Ten turns into an incredibly comfortable and wearable scent. A magnifically rounded amber smooths the ever dominant animalic leather adjusting the initial severity and harshness with an incredibly delightful warmness. Flowery patterns (ylang-ylang and jasmine), some spices, woods. Everything smells so rich but incredibly blended and balanced. Absolutely distinctive. Knize Ten became the benchmark of masculine leather fragrances and after eighty years it's still one of the most successful compositions ever. 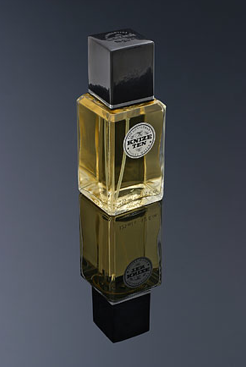 An all time favourite and a great example of how an older classic perfume can be tremendous in its modernity. Like it or not, there's only one like it. Launched at the turn of the millennium to celebrate the 75th anniversary of Knize Ten, the Golden Edition strikes me as a "smoother", polished an civilized version of the original. Slightly reacher in amber, toned down for what concerns the leather. Maybe less compelling than its older brother but still amazing. Could make a fantastic option for anyone who finds the original a tad too challenging. Thanks for this review - I'm one of those people who thought that all was lost when my first sniff of Knize Ten went awry. I could smell greatness, but not for me. Now I know there is likely something that can bring me into the fold!